Have you ever been wondering where to find the “Audio follows video” function in Avid Media Composer v6.0 or higher? Since Avid has changed the interface drastically with the update to MC 6.0 many functions aren’t where they used to be. Same thing with “Audio follows video”. Then you can activate “Audio follows video” and choose your multicam audio tracks as usual. Why would Avid change such a thing? Who knows?! 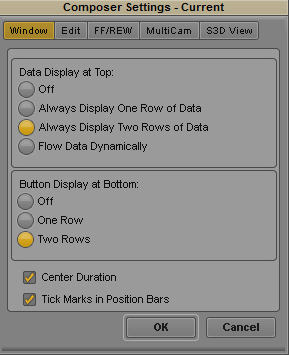 btw: this works also in Avid Symphony 6.0 or higher. Enter your Email-address here in order to get notifications on new posts.